A clean factory or warehouse floor helps to maintain a safe working environment, which is absolutely essential. 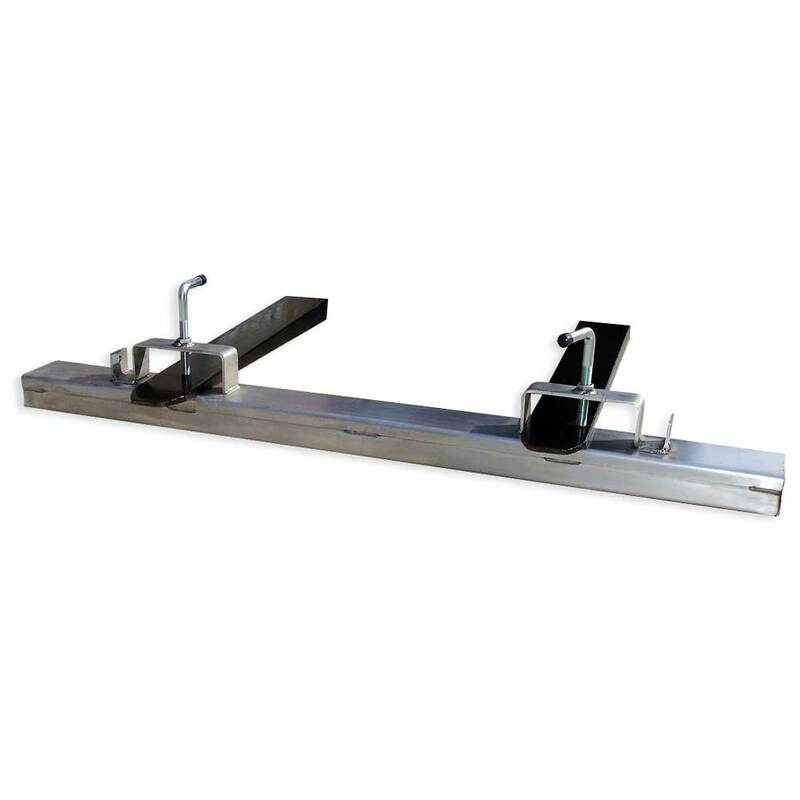 With this forklift magnet attachment any warehouse, shipping dock, car park or factory floor can be kept clear of unwanted ferrous metal debris that could otherwise present a hazard to both equipment and employees. 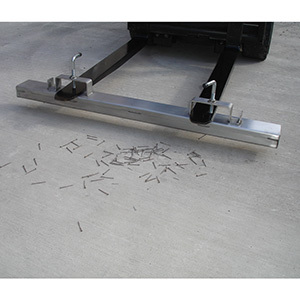 The forklift magnet attachment is a super-powered, permanent magnet that is ideal for removing sharp metal objects from almost any surface to which the forklift can gain access. This attachment makes the humble forklift truck even more versatile and able to clean up debris from not only warehouses and factories, but also loading docks, parking areas, roads, runways, manufacturing plants and many other high traffic areas where it could pose a hazard. Setting up the device could not be easier; simply suspend the magnetic attachment from the forklift truck’s forks and any ferrous metal debris can be removed from the area without having to go to the expense of purchasing a specialised vehicle. Once the magnet attachment is securely in place, any contaminated areas can be cleared in just a few minutes. Increase productivity and reduce the possibility of expensive and dangerous flat tyres and injuries caused by scrap iron particles, staples, nails and other sharp metal objects with this simple, but effective, forklift accessory. IFMM-1200 - I had excellent service and product is great thank you . Q. 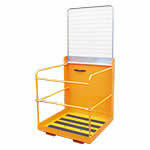 Do you supply a forklift magnet attachment at 1800W? A. yes we can. 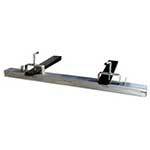 Our standard size on the website is 1200mm W however if you would like it 1800W we can supply that for you. Q. How do you remove the items you have collected? A. The magnet has a small section at one end which is not magnetised, it is advised you scrape the items towards this section which then will cause them to fall from the end.